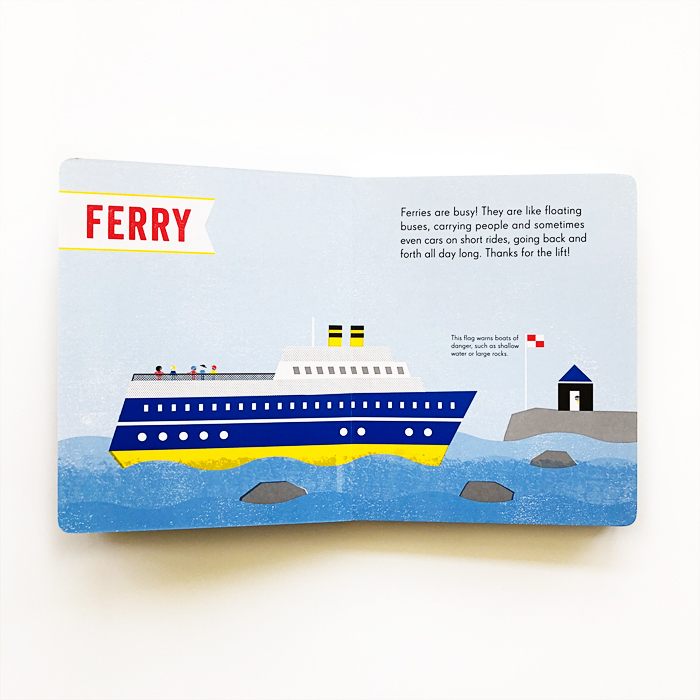 Sara Gillingham delves into the world of boats in her latest board book, Boats Are Busy. 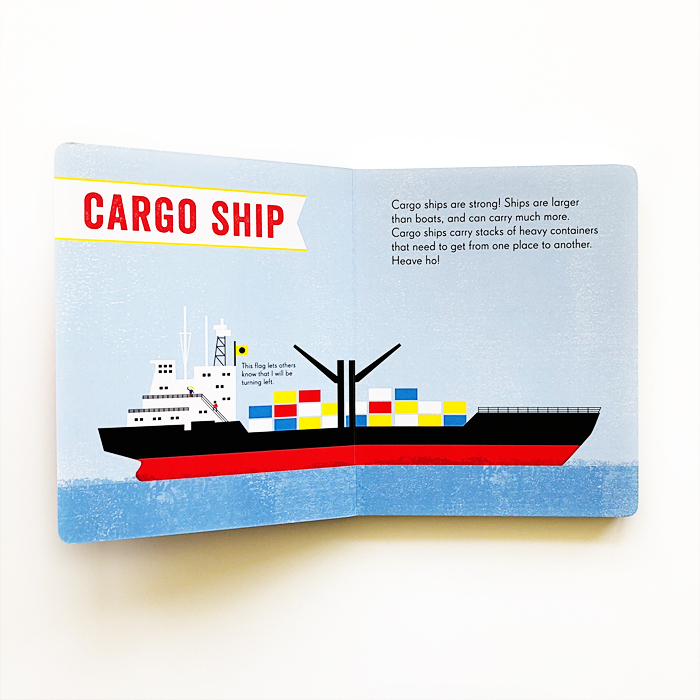 It’s a nautical primer that teaches little ones about 15 different maritime vessels such as the tugboat, cargo ship, aircraft carrier, rescue boat, clipper and research vessel. Her palette of primary colors and modern aesthetic make this one a delight — and one that you won’t mind re-reading at bedtime. Plus the flags in the book bear a secret decodable message. We have a feeling this one will be a stowaway on many summer trips. Boats Are Busy was written and illustrated by Sara Gillingham and published by Phaidon. It’ll be out soon on May 25.